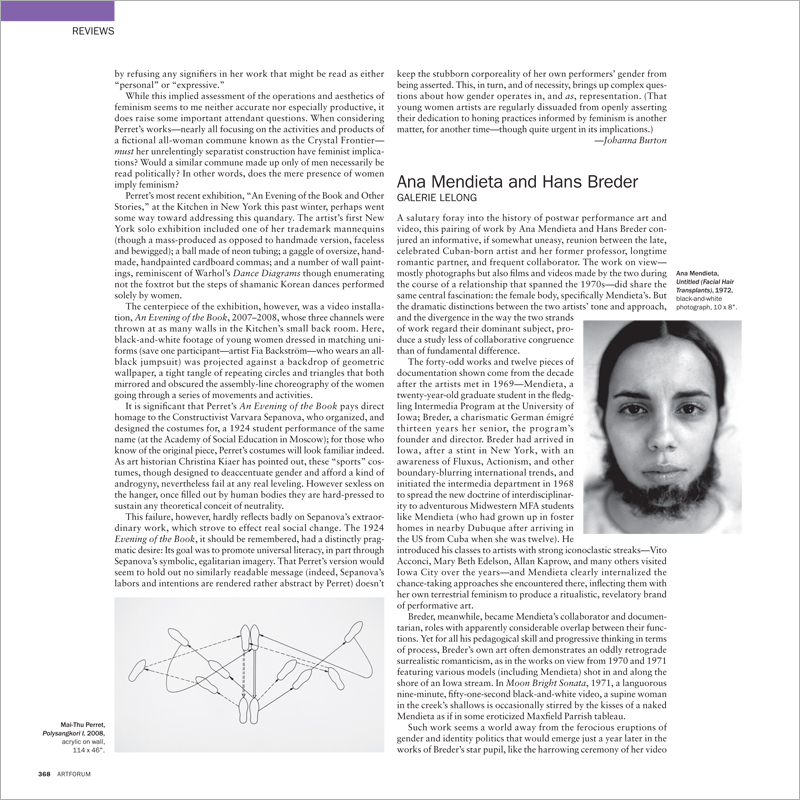 A salutary foray into the history of postwar performance art and video, this pairing of work by Ana Mendieta and Hans Breder conjured an informative, if somewhat uneasy, reunion between the late, celebrated Cuban-born artist and her former professor, longtime romantic partner, and frequent collaborator. The work on view—mostly photographs but also films and videos made by the two during the course of a relationship that spanned the 1970s—did share the same central fascination: the female body, specifically Mendieta’s. But the dramatic distinctions between the two artists’ tone and approach, and the divergence in the way the two strands of work regard their dominant subject, produce a study less of collaborative congruence than of fundamental difference.